Highlands in Ethiopia. Photo from Flickr. That is the conclusion of a new study by researchers from the University of Maine and the International Research Institute for Climate and Society, part of Columbia University’s Earth Institute. Malaria is a climate-sensitive disease, and while the biology of malaria transmission is complex, sufficiently low air temperatures inhibit the development of parasites that cause the disease. “Air temperatures below approximately 18°C and 15°C (64.4°F and 59°F) stop the development of the Plasmodium falciparum and P. vivax parasites, respectively, which are responsible for the majority of malaria cases in Ethiopia,” write the authors, led by Bradfield Lyon, a research professor at the University of Maine and adjunct research scientist at IRI. Low temperatures also impede the development rates and population density of the Anopheles mosquito, which transmits the disease. The researchers examined how these elevational thresholds for malaria have been changing over time. 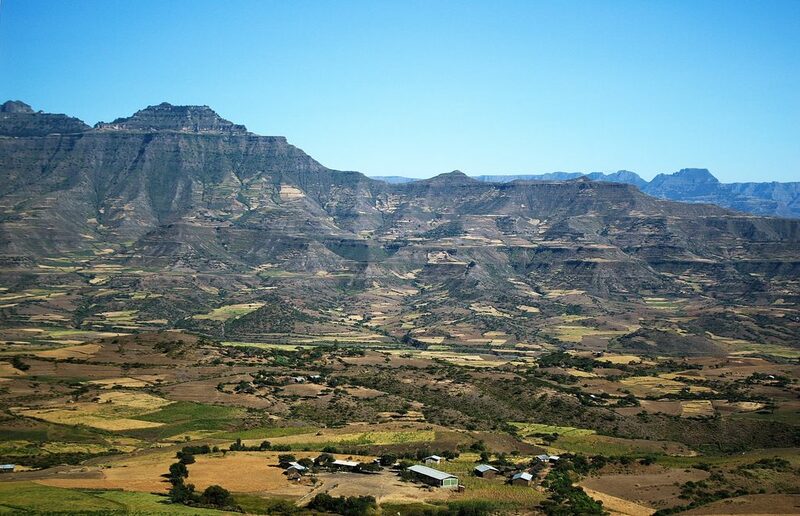 Their study, published in Environmental Research Letters, utilized a new national temperature dataset developed by IRI and Ethiopia’s weather agency. The dataset was one of the first to come out of IRI’s Enhancing National Climate Services (ENACTS) initiative, which partners with African countries to improve the availability, access and use of climate data. The study identified statistically significant increases in elevation for both the 18°C and 15°C thresholds in highland areas between 1981 and 2014. The elevation where the temperature thresholds are met rose by more than 100 meters since 1981. “We estimate that more than six million people currently live in areas with statistically significant increases in threshold temperature,” the researchers write. However, they stress that exceeding the minimum temperature thresholds necessary for malaria transmission does not in itself point to an increase in the prevalence of malaria. “While the dynamics of malaria transmission are complicated and control efforts may significantly limit the impact of these temperature changes, our study shows a clear softening of the climate barrier to transmission in the Ethiopian highlands, potentially putting more people at risk,” says study co-author Madeleine Thomson, an IRI senior research scientist. We are grateful to the National Meteorology Agency (NMA) of Ethiopia who provided the ENACTS and station data. This study supported in part by the National Institutes of Health (Award No: 5R21TW009537-02). Additional support provided by the National Science Foundation (Award No: AGS 12-52301).